Kerrie's Blog: 2014 Summertime MeetUps - Can You Host? Break out the flip-flops and sunscreen, it's MeetUp time! Are you ready to hang out with some awesome people again? Maybe you're new to AR but want to get out from behind the computer and relax with some Rainers who know good business. The time is almost here! You might be asking what a MeetUp is. Well, it's an informal get together for members of ActiveRain to hang out and talk business, sports, relationships or whatever floats your boat. Everyone is on their own for drinks/food; the host is only responsible for choosing a place, date and time. Hosts have found success with happy hours, breakfasts and lunches. The host will pick a restaurant or bar of their choosing and time. I'll add the info to my locations list that will come out soon. Hosts can also blog about their upcoming MeetUp and invite their sphere as well. All real estate professionals are encouraged to attend. Summertime MeetUps will happen between August 4th and August 15th. I am looking for hosts! If you're available to host a MeetUp between 8/4 and 8/15 please email kerrie@activerain.com the date, time, venue name and full venue address (please include zip). Hosts will receive 2500 points and attendees will receive 1000 points for showing up! I will begin to compile a list of all MeetUp Locations and update the list as they roll in. Hosts, please have your information sent to me as soon as you can. I'm very excited for our Summertime MeetUps! I hope this round is just as successful as previous ones. Kerrie- count me in. I'll get back to you with a definite time and place. Kerrie~ I just emailed you ! I could go to one in King of Prussia/Valley Forge area or South Jersey . Yes, I will host one. So glad it's over 2 week time period. Thx for listening. Will need to coorinate w/ others on dates. Awesome, Kerrie. I'll be looking for meetups around me. Sounds like this is something I can arrange in the Simi Valley or San Fernando Valley Area. Will check out locations and get the word out to you and others. Hi Kerrie... I'm in and I'll give Charlie a call for the Seattle Meetup, and I've talked to a few others around the State to see if we can get another one or two going. Happy 4th! Hi Kerrie, I would be happy to do another Baltimore MeetUp. Thank you guys! Our last round had 50...think we can beat that? Kerrie, I'll get busy organizing one here in Nashville. Will have further details on the Orange County California Meet-Up in a few days. Kerrie, this falls in the time of the FloridaRealtors convention, I will see if there is a possibility to have a meetup there. I'll be at the end of vacation and in the middle of a move but hopefully be able to at least attend one. I'm in! I will try somewhere new and perhaps I will get a better response! Looking to host on a Thursday in the Costa Mesa area near or in the South Coast Plaza. Leaning toward the 7th now in order to hopefully fit the schedule of others. I am looking forward to hosting Cocoa Beach again. Hope to have specifics to you on Monday or Tuesday. sounds awesome, would love to attend one. Looking forward to summer meetups. I'll keep my eyes open for one near New Hampshire. I think I'll show up somewhere I wouldn't be expected. I am in this time on the Treasure Coast Kerrie. I will start talking to sponsors and find us a location in St Lucie West near I-95. Sounds like some good planning going on.. no one else around me.. I might like the house actually. Let me think about it. Thursday, 8/14; 11:30 - 1:00 -- lunch and talk; 1:00-2:00/2:30-SF City exploration walk. Details to follow and subject to change depending on the number coming! You KNOW I can and you KNOW I will! Good morning Kerrie. We already have two wonderful hosts in CT, plan on giving them support to have successful meet ups and might attend another as well. Make it a great 4th! Kerrie, have made a move to Sarasota Florida recently and hosting a meet-up would be a great way to meet new friends. Let me know! Will provide a location and time shortly! I'm going to have to play it by ear on this one Kerrie. I've barely had time to blog this year! Won't be able to host one this time around but will attend as many as I can. August 7th, 2014 @ 6 PM. Please let me know if you are coming so that I can let the Rogue know if they need to add staff to take care of us. I think this is a great opportunity to meet with those in our area Kerrie, I hope that the newcomer feels welcome and tries to get to one in their area. I plan to finally get to Lenn's MeetUp, if she has one. I will be coming up from Florida in a couple of weeks. Looking forward to meet everyone there. I have been waiting for this announcement, you know that you can count on me to set something up. I will gladly host in the Chicago area..SW Cook County/Will County. I hope there is one being held in the Hampton Roads area of Virginia. I hosted one before a while back and if there is not one being hosted in one of the Hampton Roads cities I would be more than happy to host one. I'll be on vacation, so I will miss this meet up. HERE IS ALL OF THE LOCAL CLEARWATER/TAMPA AREA INFO! Kerrie - absolutley happy to host a summer meetup in the Phoenix/Scottsdale area. I'll get together with my co-horts and will dream up another beach party. Oh my goodness, there is one in Oregon thanks to Roger! So excited, can't wait! I hear there is going to be one near me in August. Hopefully I won't be taking my kiddo to college that day. Lorrie does Dallas. Thursday, August 7th at noon, Skewer's restaurant, 14905 Midway Road, Addison. I told Lynn Friedman that we would host the next Atlanta Meet-up. Let us know the details for the hosting. Hmmm...maybe it's time for me to host one of these. I know a great place too. I'll have to check my schedule. I'll send you an email. What if I have a meet up with John McCormack in Albequerque? Can we get some points for that? Sorry can't host....have an out of country visitor coming, and another obligation mid August...but hopefully if there is one nearby in say White Plains ny, Stamford, Darien, Greenwich, ct. eetc. I would try to make it.....Love your last name! I remember Mayor LaGuardia reading the funnies in the 1940's (I think, I do)!! How about having fresh guacamole made for you at the table? I am thinking about a South Atlanta Summertime Meet Up. I will let you know soon. I will miss the Dallas meet-up while attending a family wedding. Hi Kerrie. These are always fun. Let me get with some Rainers in and the area, and I will get back with you soon. 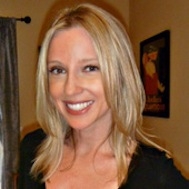 Hello Kerrie, I look forward attending Summertime meetup in Los Angeles area. I see that Anna's replied - so we're in! i will see what Yolanda thinks. As you know we have tried in the past to get a Houston Group going and had limited success. I think a big problem here is the bad traffic. If we can something i will let you know. That sounds great. Look forward to attending. If you need any help, would be happy to assist. Is there a place that the meetups are posted in one location? I'm having a hard time locating some sort of list. Not this time, my boo bear Abigail is having surgery and I'll be mommy mode. I'm hosting the BEST A/R North Atlanta Meet-up! We'll be giving away CARS at this Meet-Up!! OK, I'm having an Oprah moment. I guess I'm missing a "D." We'll be giving out carDs at this Meet-up. The date is Wednesday, August 6th at the Elevations Chophouse Restaurant. Be there at 6:30 pm to have fun and meet some of your fellow members. The meet-ups I've attended have been super - it was great to actually see people "in the flesh" that I sort of felt I knew already from the AR online community. We'd love to host a meetup in Santa Monica! 855 Worcester Road, Framingham, MA. I will send you the details and should write a post about it, too. Thanks Kerrie. I'm going to try to attend my local one. Still have to get back to you in my neck of the woods. Long Island can be lovely this time of year also. For Westchester, we are having on Wed 8/6 at 6pm. Hey Kerrie! I will host one with Greg Nino again! I will email you. Hi Kerrie~ When are you going to post the locations/dates/times? By the end of the week? I want some credit for this. August 5 9:00 AM Route 66 Diner in Albuquerque. Thanks all, I'll have the list public next week so anyone on the fence, send me your info. Gene - Thanks, can you email me the full address so I can add you to my list? oohh... I see a number of them being posted for the southern california area.... I may hit up a number of them!!!! Do I get points per meetup? LOL! Kerrie I will be hosting a MeetUp on Thursday, August 7th, from 4-6 p.m. at Gouveia's Winery & Vineyard in Wallingford, CT. Looking forward to ours with Anna Banana! I think my friend and I will do one but need to set it up first and then email it to you. They are such fun. I always go to my other friend's meet up in Norco too. Hopefully, I'll be able to attend my first meet up this year. Youza! Kerrie, you know you can count on me. Our last one was a blast. This time the timing couldn't be better. I'm going to have this one "WHERE THE SURF MEET THE TURF". I want to invite any AR member or non member who may be visiting "AMERICA'S FINEST CITY". I'd like to do one in Oakland CA, 8/15/14 5-7:30 free drinks and free pizza. It would be at my office, 3320 Grand Ave. Oakland by the Grand Lake Theater. Can you still squeeze me in?